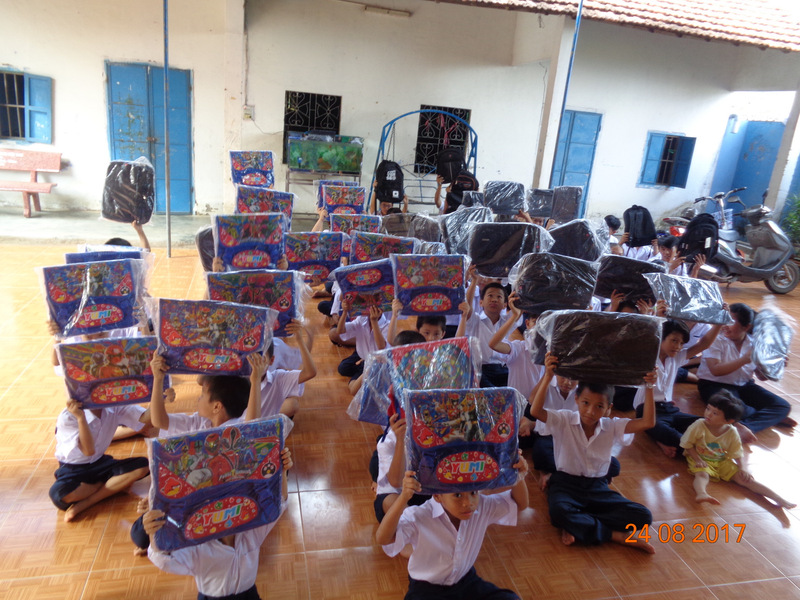 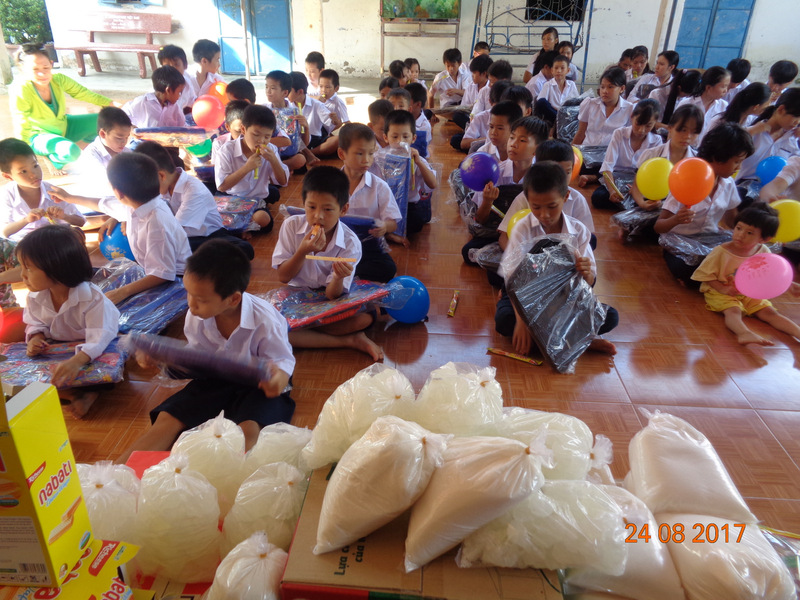 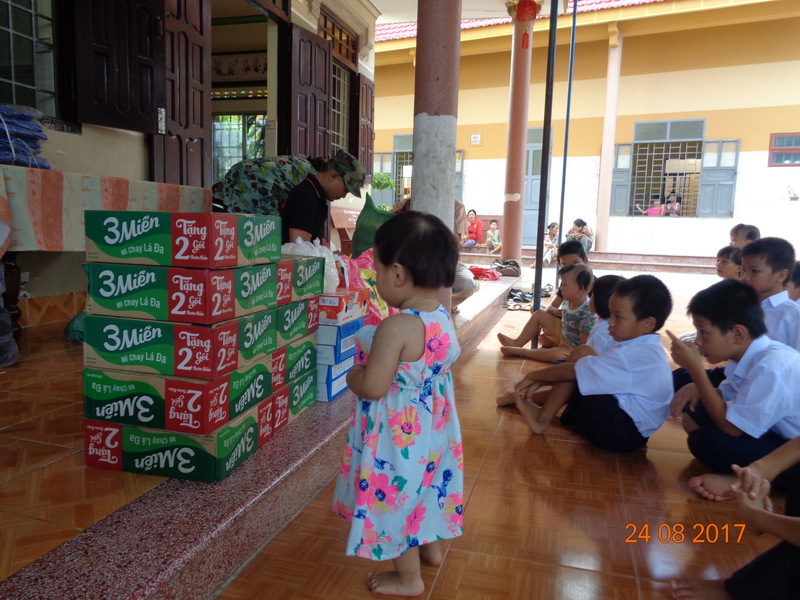 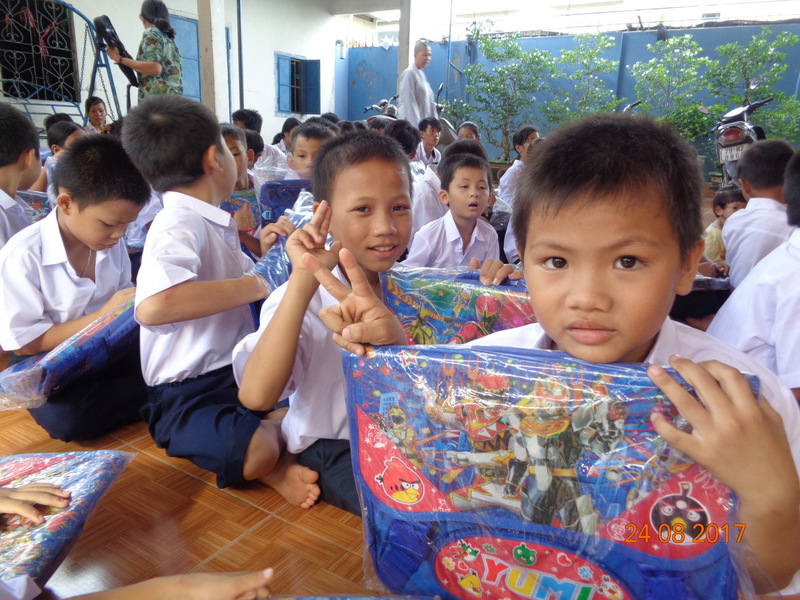 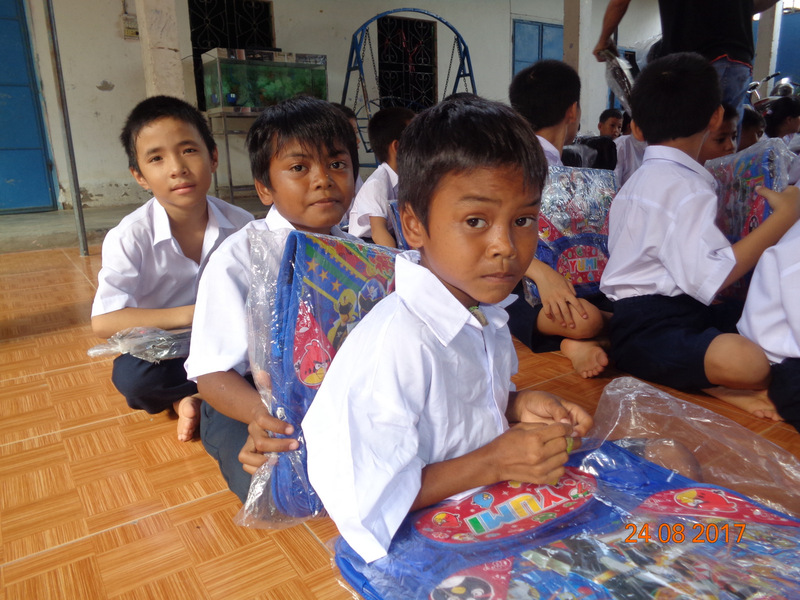 On August 24, 2017 we made a fun visit to the Anh Dao Orphanage with lots of gifts. 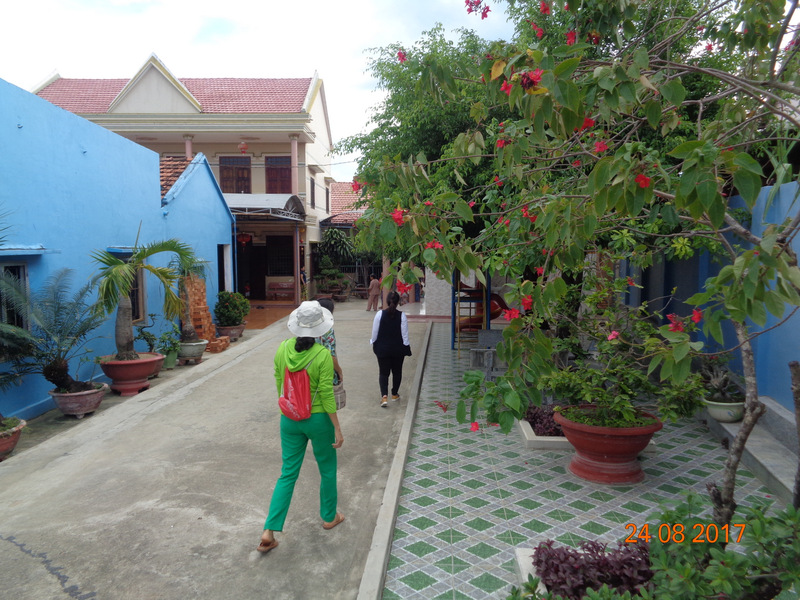 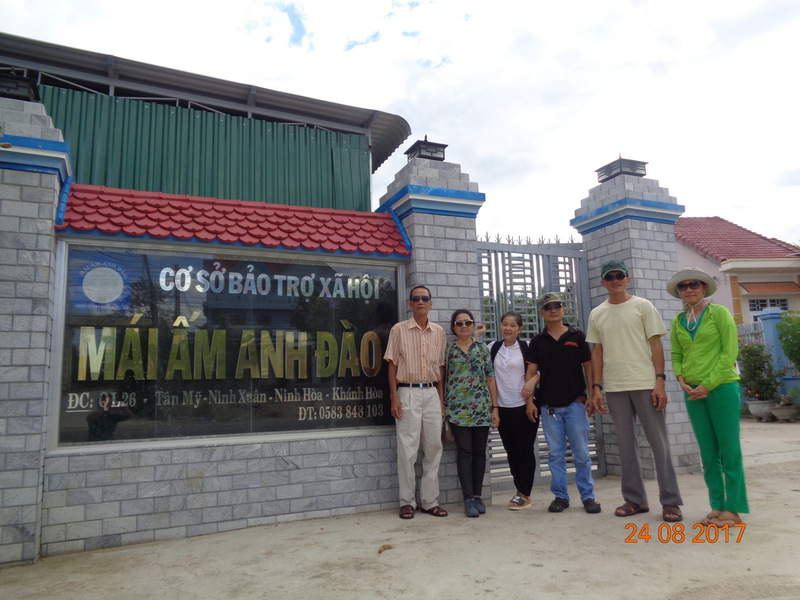 Anh Dao is a loving home to children of all ages, located in a country setting in Ninh Hoa, to the north of Nha Trang. 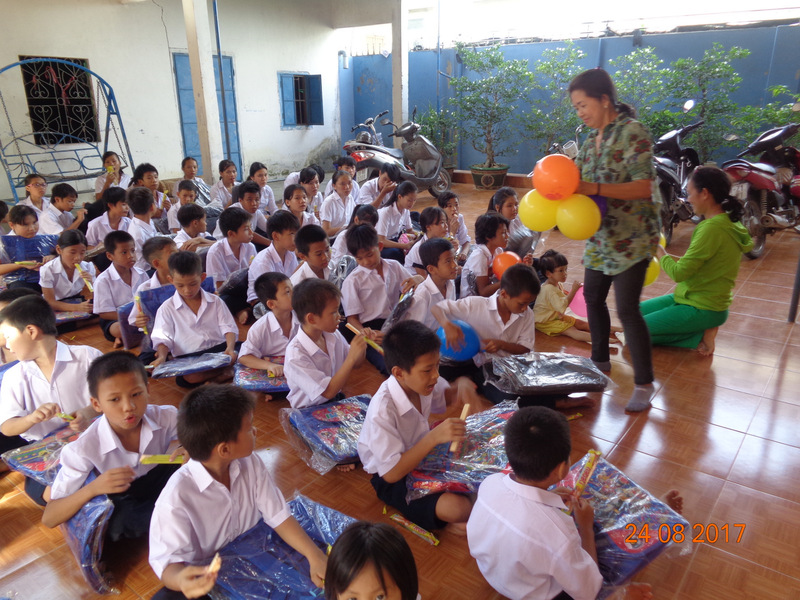 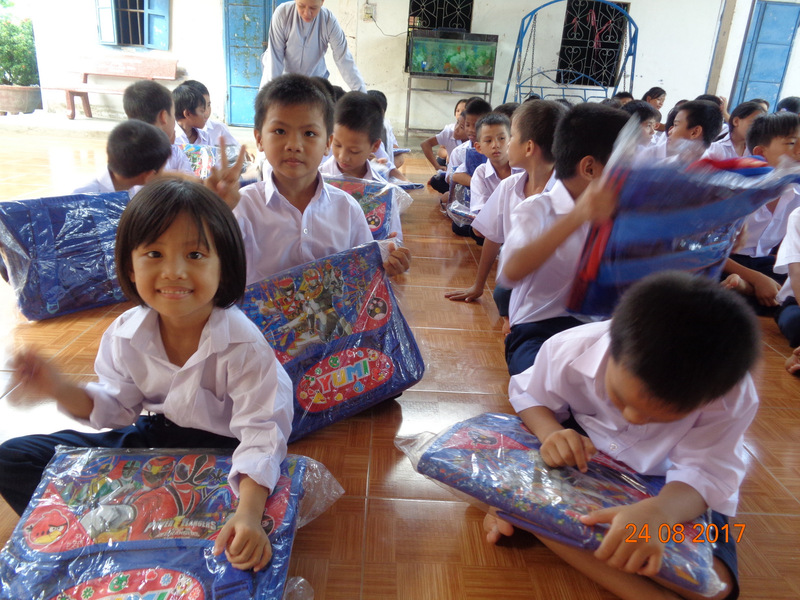 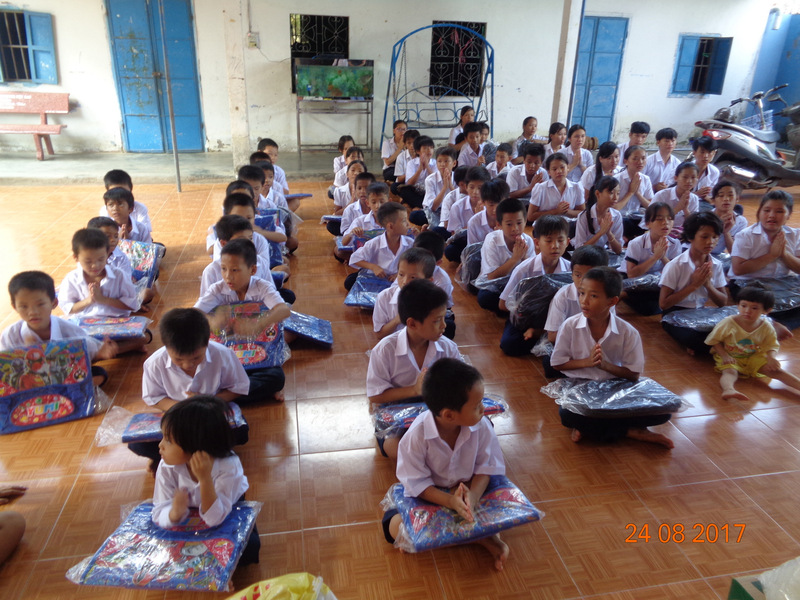 With the school year approaching, Anh Dao has been preparing by raising funds for school uniforms, textbooks, backpacks, shoes, school supplies, and paying school fees for all the orphans, from kindergarten through college. 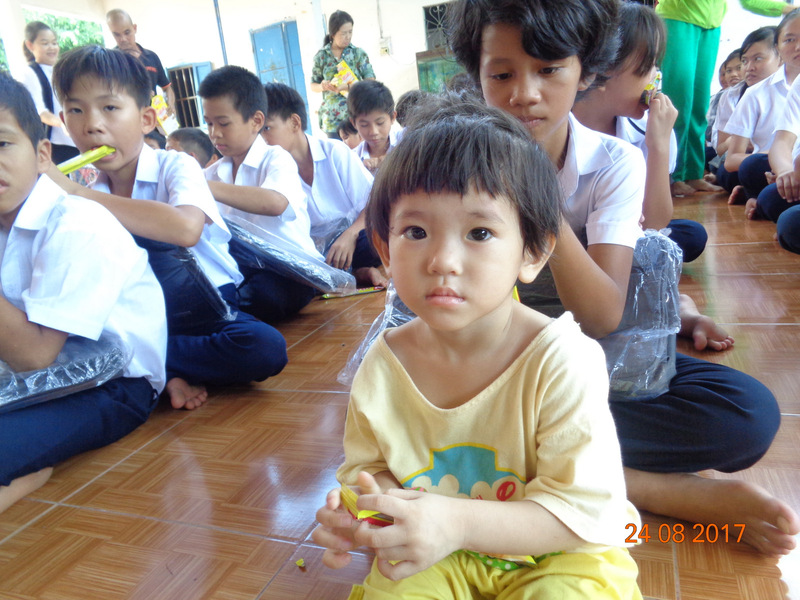 With so many orphans, the cost can be daunting. 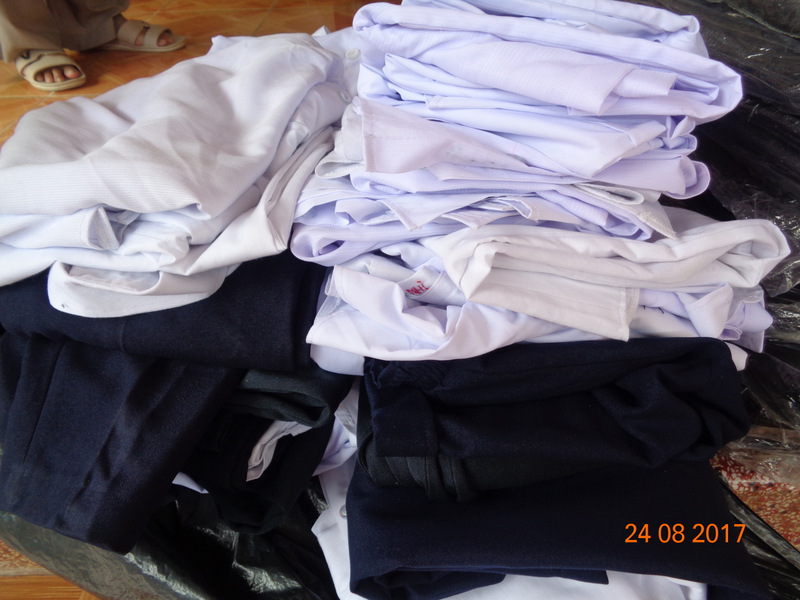 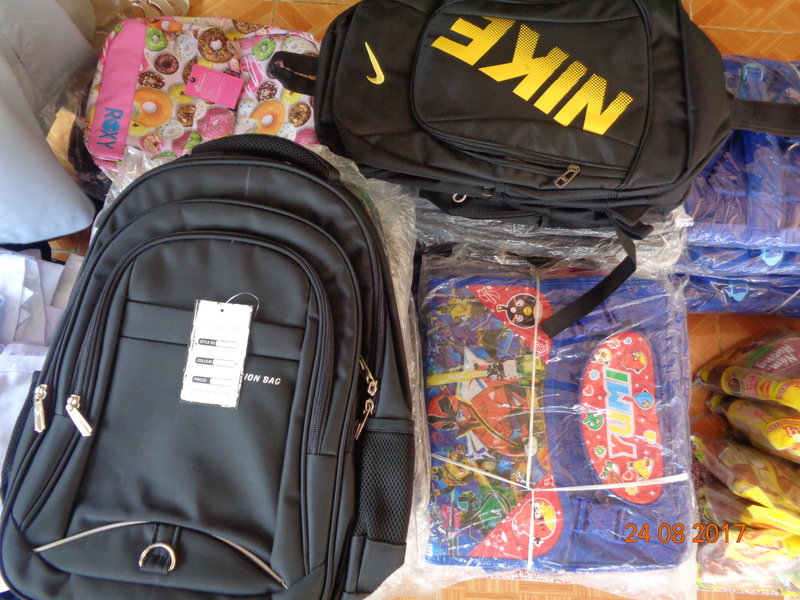 On this visit, we paid the costs of all school uniforms, and brought brand new backpacks and pencil cases for the children. 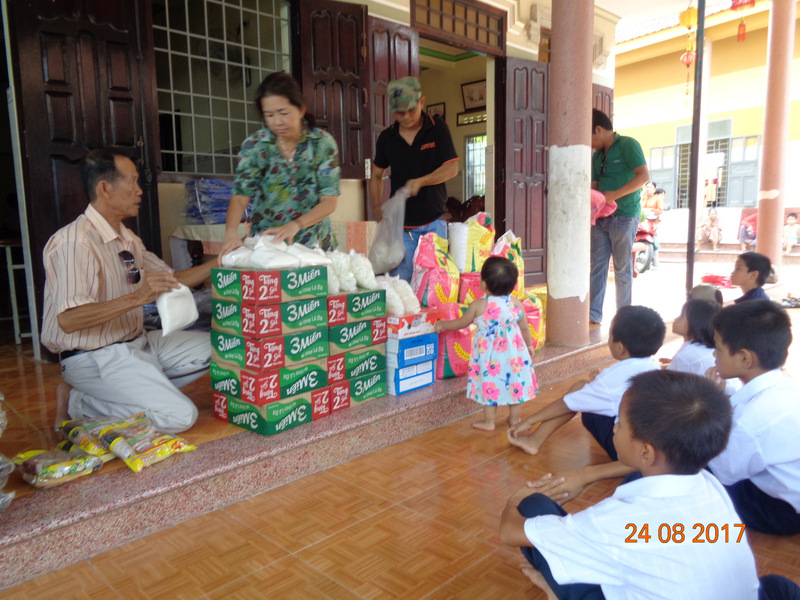 We also brought general foodstuff for the orphanage, including bags of rice, boxes of noodles, mushroom seasonings, soy sauce, sugar, milk, treats, and balloons. 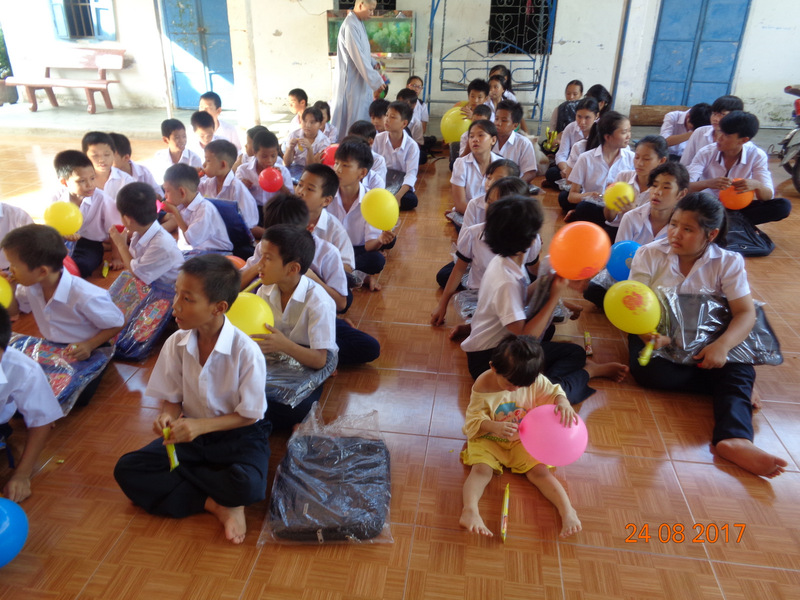 The children were lovely as always, and our team had a nice long visit at the orphanage. 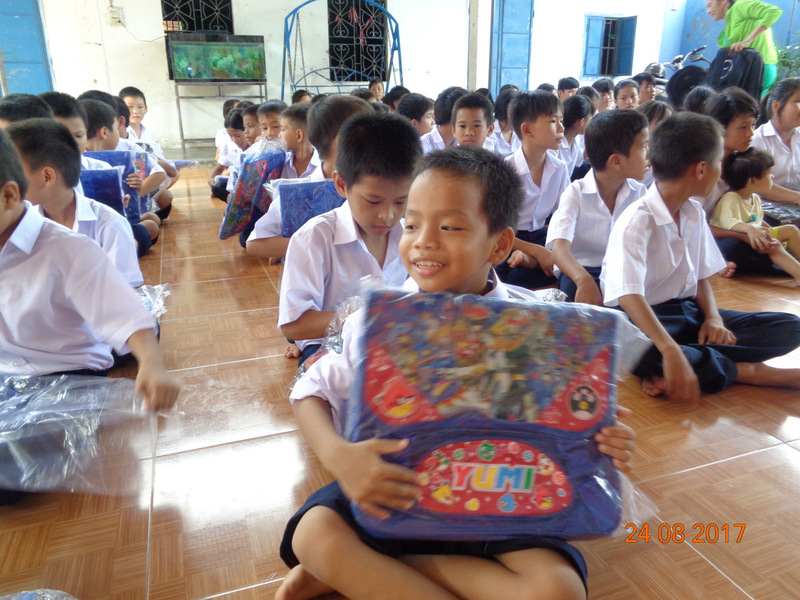 This trip was made possible through the kindhearted donations of Juli and Kyle.